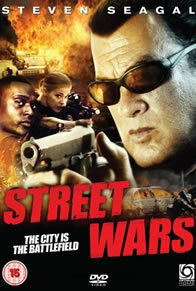 As part of the True Justice Series, Steven Seagal is Elijah Kane, the head of a crack undercover police unit ridding the Seattle streets of its deadly criminals. Kane and his team are in a race against the clock to bring to justice the coldblooded gang who is behind the lethal drug that is raising the body count of young people in city. To make matters worse, Kane’s unit is ordered to protect a filmmaker who’s set on exposing the city’s most dangerous city slums at any cost… Even if it means risking the lives of Kane’s hard-knock team.